These are the top three pullup bars on Amazon.com under the Strength Training Equipment page here. We hope you find a good one and do great things with the Armstrong program! Well, new technology is making our previous indoor pullup bar reviews obsolete! The Iron Gym Workout Bar is the most common indoor pullup bar in use. It’s inexpensive, gets the job done, and is versatile enough for the complete Armstrong Pullup Program. Just make sure you measure your doorways–it fits most but not all walls and doors. It’s designed to fit residential doorways 24 to 32 inches wide, with doorway trim or molding up to 3.5 inches wide. However, narrow molding in doorways will cause it to hang at a slant. The Iron Gym is rated up to 300 lbs. The “bonus” fitness features have mostly been panned. Who needs a special bar to do pushups? After time, creates marks on the wall from the bars. This is the simple, classic doorway pullup bar. If you don’t mind a more permanent bar, this is an inexpensive way to do chinups inside. While The GoFit is rated up to 250 pounds. Do to its small width, it is only useful for chinups. The padded grips are moveable. Less bulky than other options. Can’t complete the Armstrong Pullup Program using this bar! Care for the deluxe package? The ProSource Easy Gym Doorway bar is the Cadillac of indoor pullup bars! 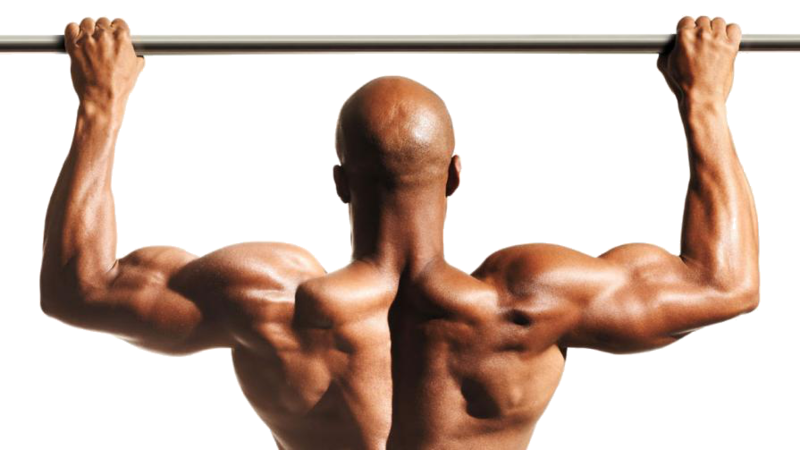 It has all the benefits of the classic Iron Gym, but also gives more wide grip options, which help build the upper back and lats, especially for those with longer arms. Best solution for the Armstrong Pullup Program, due to wide grip options. Thanks to Armstrong Pullup Program.com for this guest gear review! There’s a recall on the first one. I got one and every single part was broken, Do not get the Iron Gym Workout Bar! !